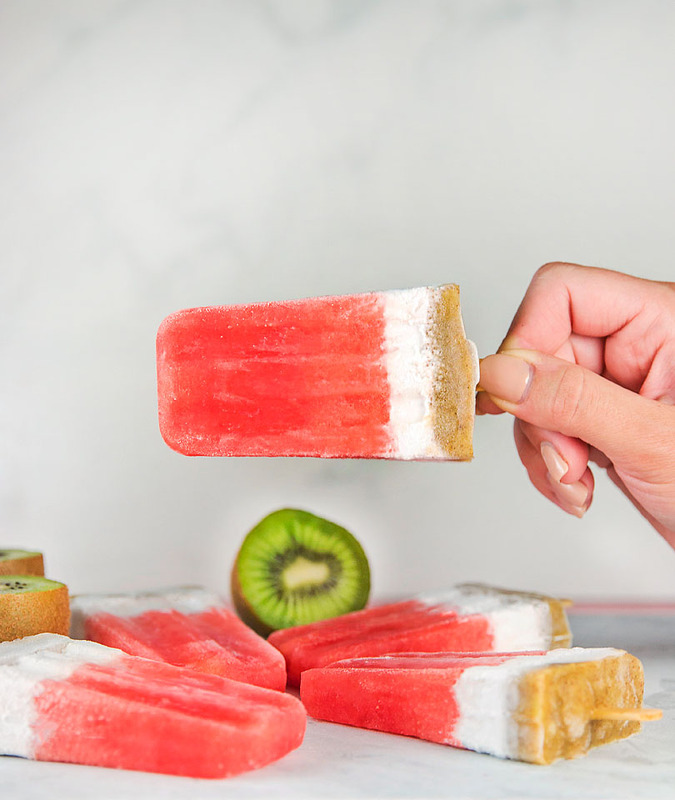 Summer is here and it is the perfect time to make some homemade popsicles. They are the best way to cool off on a warm day. 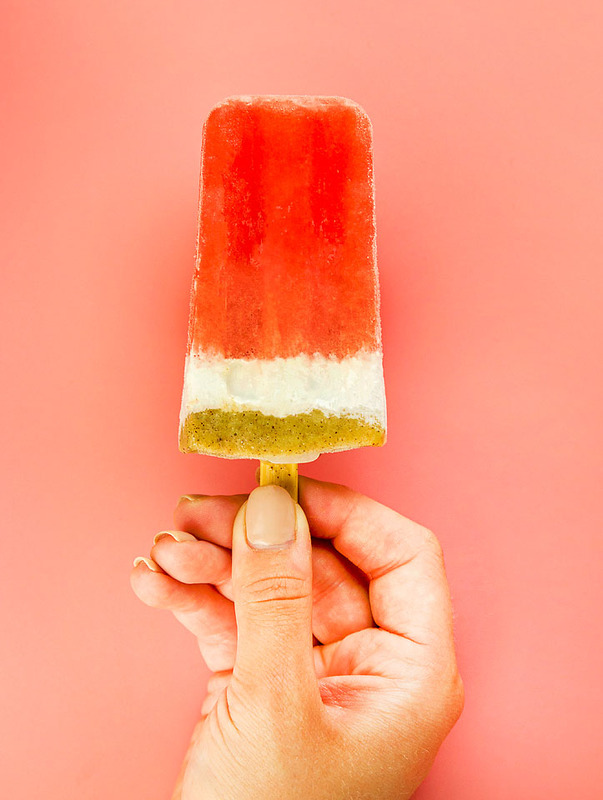 By making your own ice pops, you know exactly what’s in them. 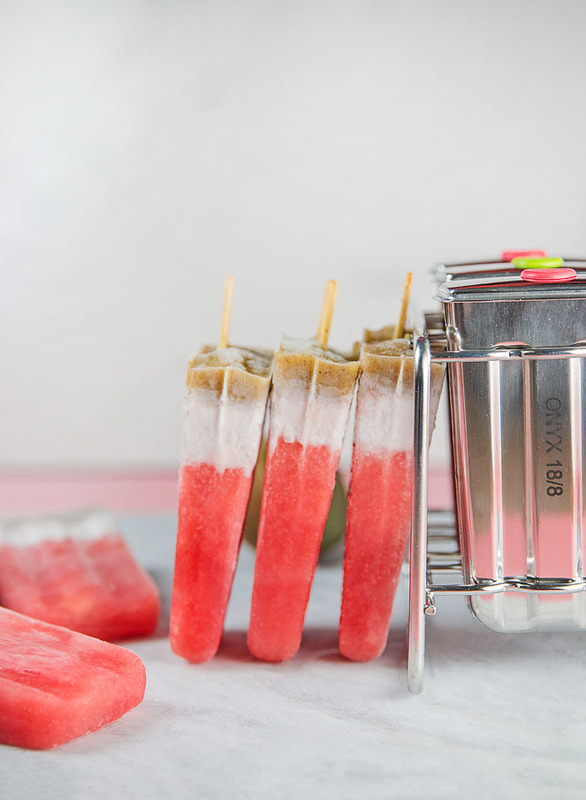 These watermelon popsicles are completely guilt-free as they are just fruit and coconut milk. It does take a bit of time to make these because you have to freeze between the layers, but it is so worth the wait. 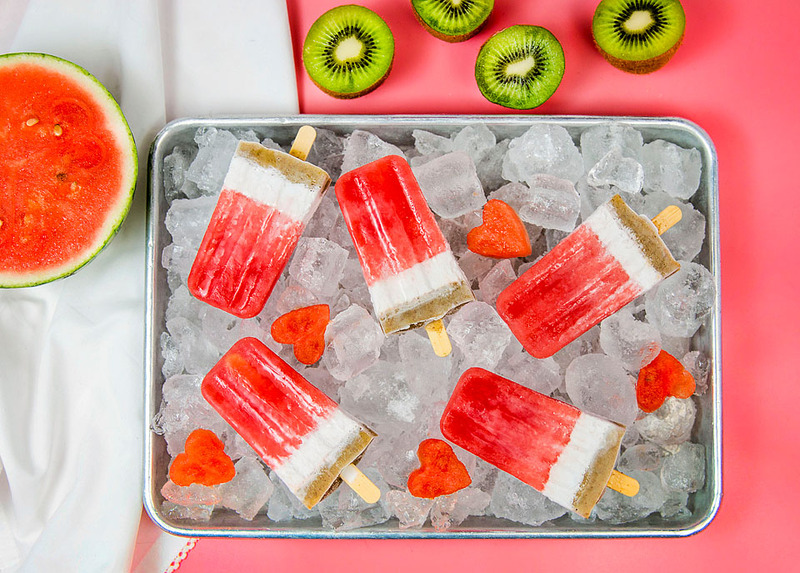 Everyone will love how these cool treats look and taste. You can easily substitute the coconut layer for another fruit if desired, or skip that layer and add more kiwi. 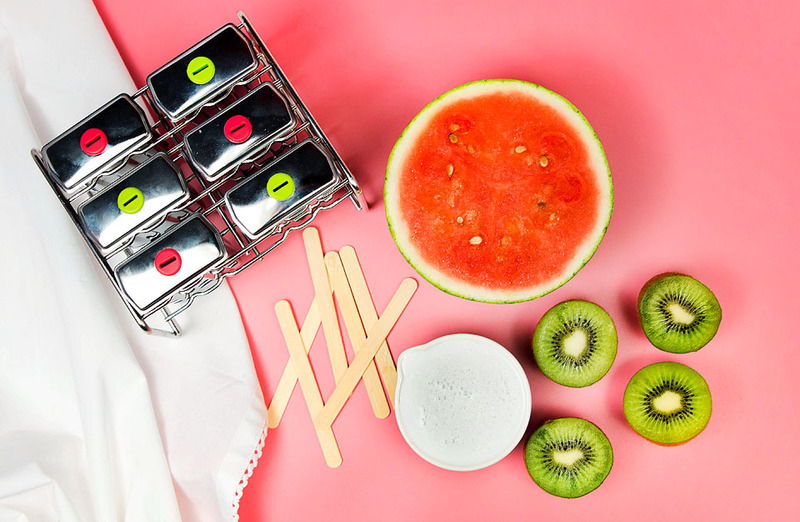 For an extra special treat, you can also add mini chocolate chips to the watermelon puree. They look just like watermelon seeds, but these you will actually want to eat. Put the watermelon chunks and lemon juice in a blender and blend until smooth. 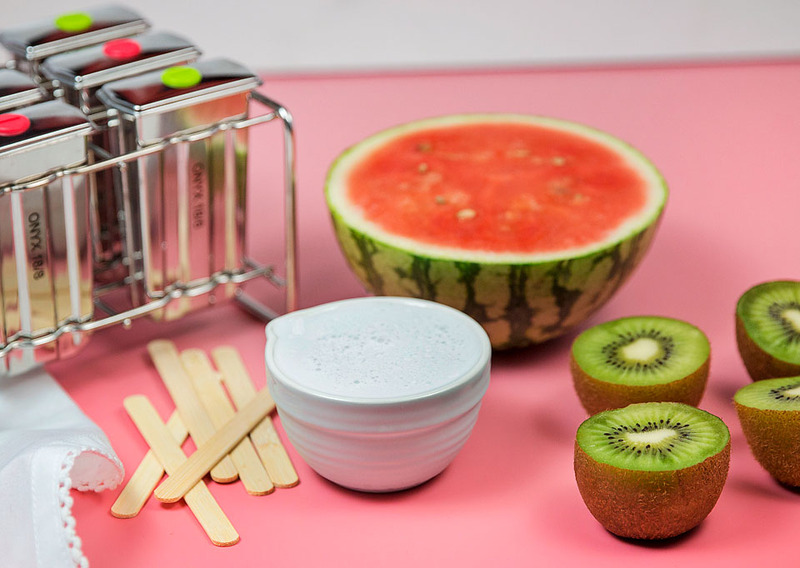 Skim away the foam and pour into popsicle molds. Fill each mold about 2/3 full. 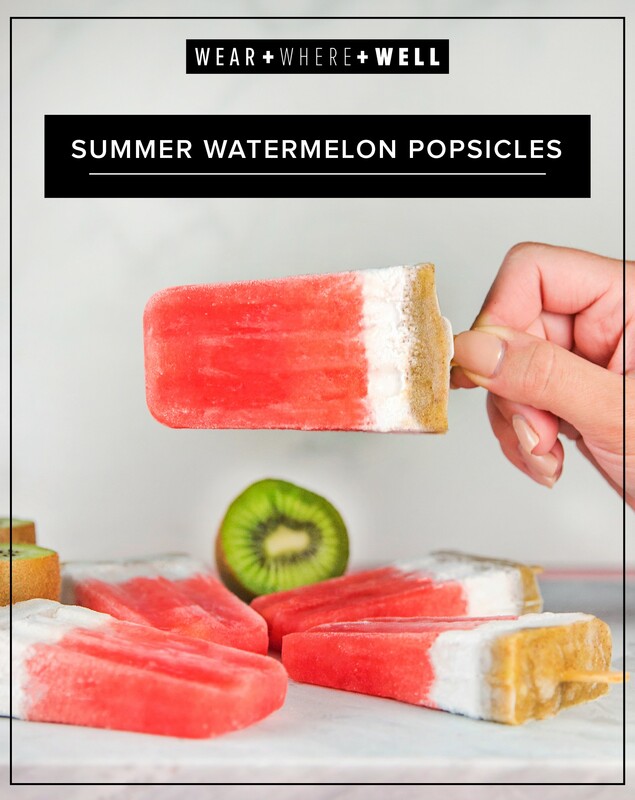 Cover the mold and insert the popsicles sticks. Freeze 2 to 4 hours. Whisk the coconut milk to make it smooth. 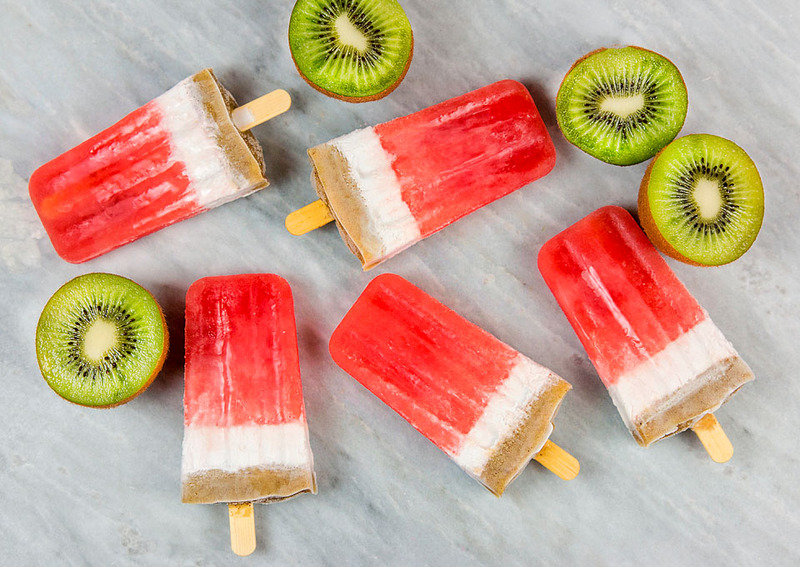 Remove popsicles from freezer and pour the coconut milk over watermelon. Return to freezer and chill for an hour. Put the kiwi chunks in a blender and pulse until pureed. Force the pureed kiwi through a fine strainer to remove the seeds. 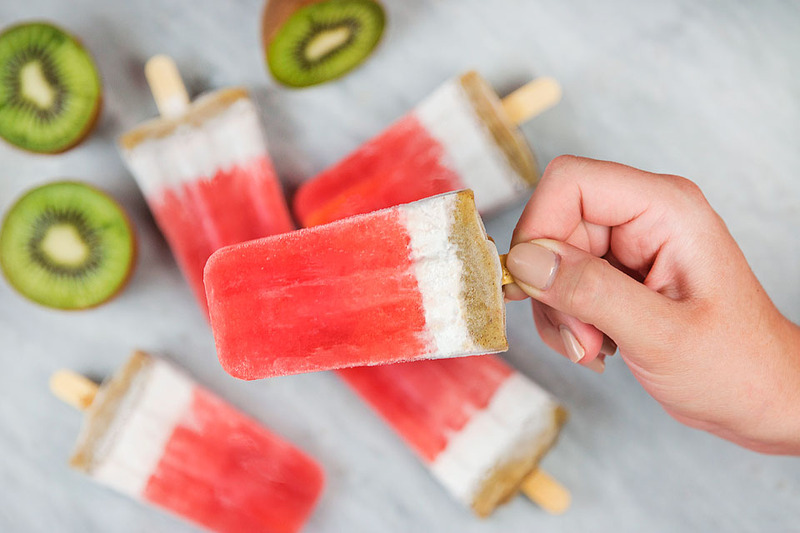 Remove popsicles from the freezer and pour over the coconut layer. Return to freezer and chill about 3 hours. Don’t these sound delicious and refreshing? Well, I can tell you, first hand, they are! Be sure to let us know if you end up making them. As well, if you are a watermelon fan, check out this Watermelon Martini…it is delish! Hope you’re having a great day! They are so yummy! I have eaten 3 lol!! !